Window coverings are an integral part of your decorating plan to provide beauty, privacy and energy savings. Selecting window treatments can be a daunting task. We ease your pain by guiding you to the best selection for you lifestyle through a free in home consultation. 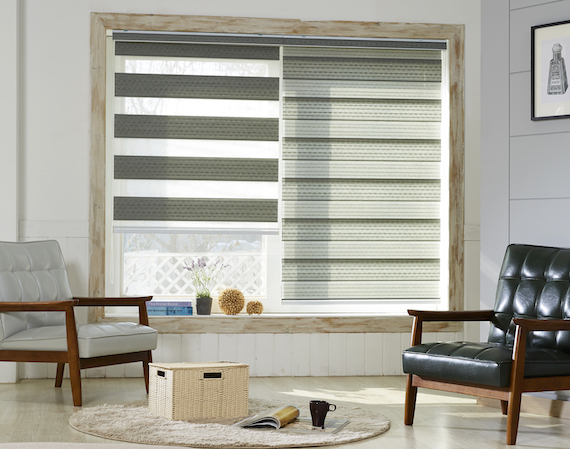 Options include motorized indoor and outdoor roller shades, shutters, horizontal wood blinds, faux wood, or aluminum blinds, woven woods, and cellular shades to coordinate with your home furnishings and your style. Experience the difference of working with the design professionals from Brooks Interiors. Make an appointment for a free in-home consultation. This allows us to work with you to make the best selections that coordinate with your style and the functionality of your home.